Get Help from a Santa Barbara Mulch Company! Grinding stumps and chopping trees creates a byproduct known as mulch. This biodegradable material is perfect for your garden and will help with things like, weed control, rotting soil, also improves nutrient and water retention in the soil. The mulching process is very beneficial for the worms who thrive in these ripe garden conditions. It will also help retain moisture and prevent soil erosion, while simultaneously adding nutrients to the soil. If you need someone to help you with this problem, then you are in the right place, Just reach out to us using the contact us button below or above. If you prefer, you can call us on our phone number at the top of this page as well! Mulching is an economic way to beautify your landscaping and helps contribute to overall soil health by helping to retain moisture, control weeds, insulate soil and is incredibly helpful when soil fertility is lacking. Mulch also helps with controlling those pesky little insects. At Santa Barbara Tree Care, your local tree care service company, we provide this protective covering for you at no additional charge! Adding mulch is one of the very best things you can do for your landscape, and it comes in plenty of forms. It acts as a protective shield around your plants and trees for example. Generally, it’s made from either landscaping fabric, straw, bark, fresh wood chips from our stump grinding, grass clippings, or chopped leaves. Or you can be creative and use pine needles, pebbles, rocks or cocoa bean hulls and even newspapers or cardboard. There are many different ways you can use mulch to design as well, form choosing between golden browns, deep reds, or contrasting in a dramatic black color. Depending on the mix, you can use natural colors or properly place your desired colors. Excessive piling up around the stem or flare of the tree can trap moisture causing fungus and or disease. It also gives insects a place to harbor and burrow in. It’s highly beneficial to create a mulch ring as far out as the drip line of the tree where the absorption and feeder roots of the tree is positioned. If you have any questions or would like one of our Santa Barbara Tree Care professionals to help improve the environment, please contact us. The possibilities are endless. Special mixes can also have long lasting exquisite smells that last up to 2-3 weeks at a time. Did you know that you could also use mulch to improve your garden too? Through this process, you can provide a protective layer comprised of a variety of materials, spread across the top of the existing soil in your yard. It can be created out of inorganic materials such as stones, brick chips, even plastic. It can also be organic materials which in this case refers to straw, grass clippings, or bark chips. In fact, after you have services completed in your yard such as brush-clearing, tree removal, or stump grinding, you can opt to have these materials cut down into such a way that you can use them. Mulching is also incredibly beneficial for your yard. It will protect your soil against erosion, reduce soil compaction which is very important after heavy rains. It will conserve moisture in your soil which reduces the need for frequent watering, something very important in Santa Barbara, California where water conservation is key. In addition to maintaining moisture this naturally maintains an even soil temperature. If you are trying to cultivate fruits or vegetables, you can prevent weeds from growing and compromising your efforts. Also, it’s easier to keep your garden cleaner, providing a finished and manicured look on top of any garden beds or planter boxes. Organic and inorganic mulch bring with them different benefits. Organic mulch will decompose slowly which means it offers organic material to loosen up your soil. Loosening up the soil means the growth of roots are improved in the soil holds onto water more efficiently. The result of this is better water infiltration. Inorganic mulching is much more permanent and if you don't plan on changing your plants this can be a great option. However, in almost all cases for organic mulches because they allow you the opportunity to recycle the materials we have gathered from all of your other landscaping and tree removal. 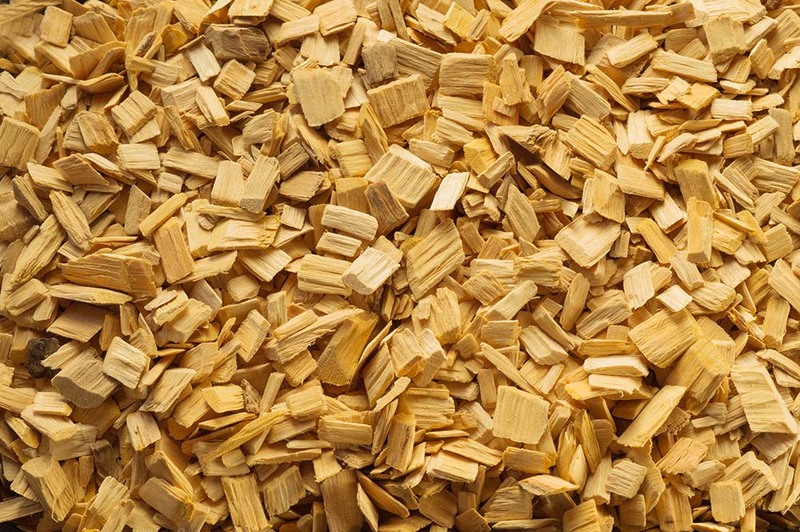 All of the organic materials that we collect from things like decomposing leaves can be added to bark chips that we break down after removing branches from your trees. By recycling this material, you not only help to keep your yard much healthier, but you reduce the amount of cleanup services and fees you have to pay whether to us or to your regular Yard Waste Management Services. With our professionals by your side we can help you to determine the proper amount of mulch you need to achieve optimum soil temperature and when you. We can also recommend additives to mix into your organic material such as pine needles if you are growing rhododendrons or blueberries. If you need a larger area covered we can help you to create the perfect mixture for soil retention, soil Improvement, or weed control. ⦁	If employees are not properly trained they can cause more damage than good. For that reason, always make sure that your company is fully license before you hire them. An unlicensed company creates a serious liability risk for you and your property, something you absolutely shouldn't consider. Make sure that the company is licensed and that they have insurance so that if something does go wrong, if your property is damaged or if an employee is injured on site, you are not financially liable. Having liability insurance will make sure that any damage to your home or your property is covered in the event of something goes wrong. Knowing that the company you are hiring offers Workers Compensation Insurance protect you and the employees if an injury is sustained on your property, and if a lawsuit develops. ⦁	Always ask for referrals. Remember that company should be more than happy to provide referrals to you from satisfied customers who you can contact for a better idea of satisfaction levels. It is in your best interest to request referrals from customers who were recent customers or those who have been customers for many years. Every company has one or two great reviews but if they don't have any positive customers recently there may have been a change in the management, the employees, or how the company runs its business and that change could be detrimental to you if you don't do your homework before hiring. ⦁	Always inquire about the background of each employee who will be present on your property. You want to work with companies that hire workers who have years of experience under their belt, professional expertise, or hands-on knowledge.